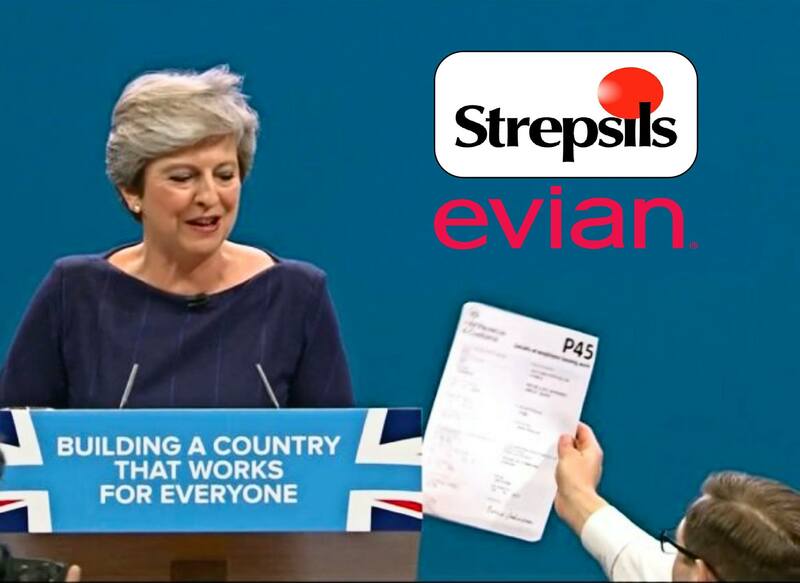 The satirists have been having a field day with Theresa May’s speech. Did you know that Simon Brodkin, the comedian who pranked Theresa May by handing her a mocked-up P45 during her speech to the Conservative Party conference and saying it was from Boris Johnson, was arrested after he was escorted from the hall? Mrs May spent a considerable part of her speech talking about fighting injustice, saying “That’s what I’m in this for” after every example. Will she devote her efforts to ending the injustice against a man who was placed under arrest for playing a practical joke? will they look at any of this nope tory business as usual let’s carry on screwing things up and telling everyone how strong and what was it oh stable they are,they should be locked up in a nice secure cell, they be strong and stable then, silent as well!!! I’ve been wondering what crime he committed as well. Breach of the Peace? I suppose they will try to say threatening behaviour, but the more pertinent question is in regard to the security failure that allowed him to get in that position, yes in this instance it was a bit of fun, but the bottom line is that whether, or not, you agree with her political stance, she is still our Prime Minister, and could have been in a very dodgy situation. I suppose to a hard-line Tory, handing their leader a bit of paper which was a spoof P45 and making them the laughing stock of the world is a capital offence. Personally I thought it was hilarious. Be interesting to see what, if anything, happens to Lee Nelson. Kuenssberg was happy to gloat about it on the Beeb (I occasionally watch it to learn what propaganda they’re filling my parents’ heads with). When an arrest is made, the use of handcuffs is optional: Lee Nelson was meek and mild and no flight risk; meanwhile, he was around a group of angry tories: hence, he shouldn’t have been handcuffed!